In areas with months-long winters like Chicago and Geneva, it’s impossible for residents to spend as much time outdoors as they would like. Our year-round solution? Incorporating natural elements like wood, stone and raw, organic textiles into our interiors. Not only are these elements on-trend, they’re also versatile, calming and timeless. Natural accessories span a wide range of neutrals, making them easy to include in diverse aesthetics. White and grey stone pair well in minimalist settings, while cherry and dark wood furnishings can be dressed up or down to suit any theme. Taupe, tan and camel are trendy neutral colors to keep in mind when shopping for nature-inspired wall coverings or rugs. Wood, stone and raw textiles also play well with natural light, creating a comfortable, cozy abode that looks incredible at all times of day. 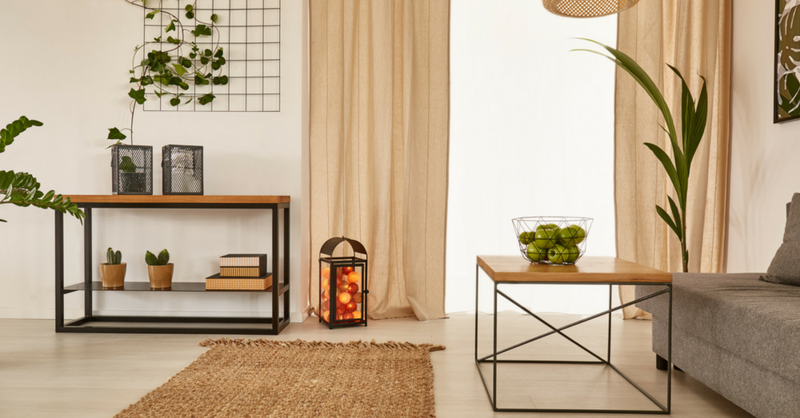 We always recommend starting with a rug, and with so many natural materials like hemp, wool and jute at your disposal, you’re sure to find the perfect wooden mat, fur covering or knitted rug for your home. Raw linen window treatments will drape natural elements throughout your home, and a statement credenza made of rich, unstained wood can be a powerful focal point. Stone is best incorporated in bathrooms, kitchens and patios, where it shines as tiling or a platform for appliances. Andrew Pearce’s wooden bowls are the definition of functional elegance. With a variety of wood types, finishes and stains, you’re sure to find the right piece to complete your servingware collection or add an accent to your home. Invest in a full set of bowls, cutting boards and more, or simply set one on your coffee table and fill with trinkets to wow your guests. Natural elements abound in this pendant lamp and woven floor mat, both from Cyan Design. 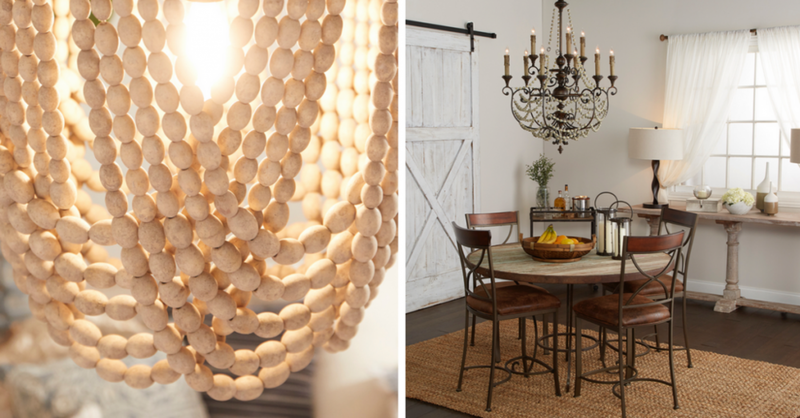 The pendant lamp is a conversation starter, with tan wooden beads that soften the light and cast interesting shadows. In a more understated way, the mat can pull together any room and make different wood tones look cohesive. Global Views’ driftwood coffee table pays homage to time-weathered teak in a sleek modern way, while their tulip-inspired ceramics look stunning on any surface. Organic lines dominate in these two pieces, while their rough yet refined textures can breathe life into any room. bb Interiors works closely with clients to build beautiful spaces that reflect them. If you love natural elements and textures but need help making it work for you and your home, contact us for a consultation today.